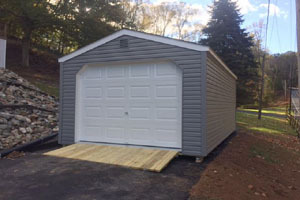 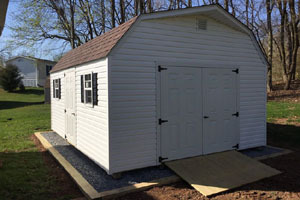 Your Chalet Shed will make a great landscape statement in your yard while providing flexible storage for your frequently used items as well as seldom used items. 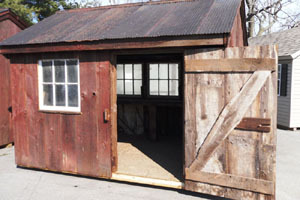 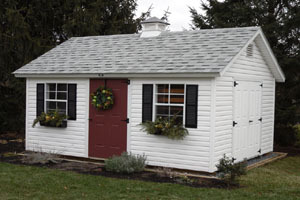 Our Cottage Sheds can help you solve your clutter and organizational needs. 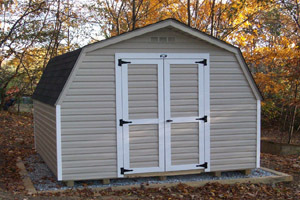 The walls are high enough to accommodate many garden tools and sports equipment. 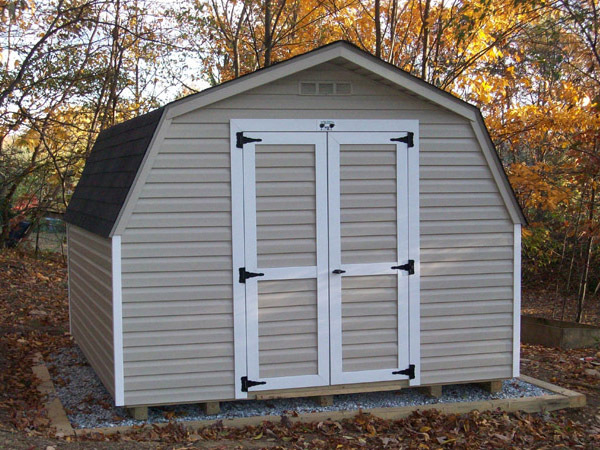 Garden and recreational equipment can easily be placed on walls or floor space. 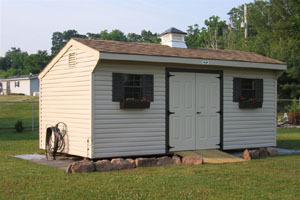 Smaller items can be stored on wall shelves (see our wall storage packages). The Salt Box Shed would fall into the category of functional yard art. 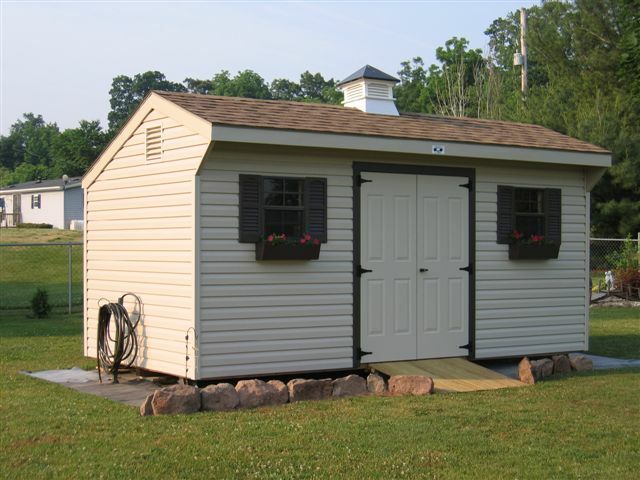 This stylish building brings that bit ‘o country to your property while offering lots of storage space. 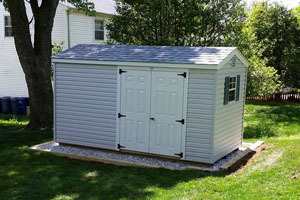 Small yards offer less upkeep, but can easily become eyesores with equipment under tarps and recreational gear not under cover. Whether you need wall space, floor space, or overhead storage, this building can provide all of that and do it in style. With its salt box style roof line and classic trim details, this building has the country looks that many gardeners prefer. 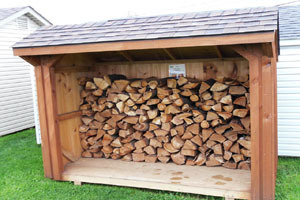 Think 'green' and repurpose! 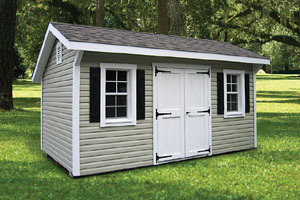 Make good use of this functional conversation piece for your lawn or garden. 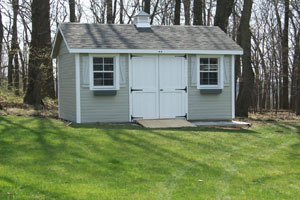 When classic looks matter, The Classic Carriage House Garage is the way to go. Perfect for your classic car or motorcycle. 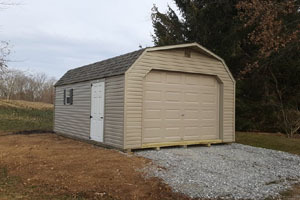 Efficiently designed, Big Barn Garages offer the flexible storage and security the home owner wants. 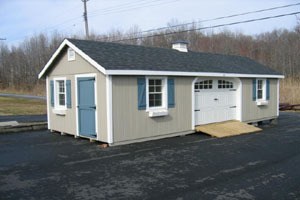 The high walls of a Cottage style garage take care of your storage needs with ready to use hanging space and shelves. 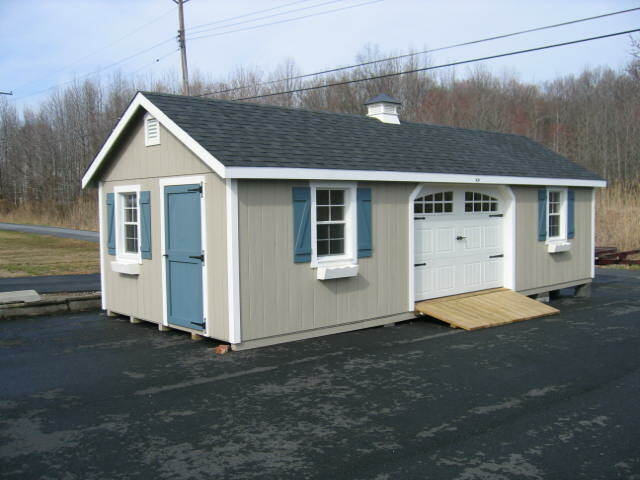 This well appointed and architecturally pleasing design is more than just another pretty building. 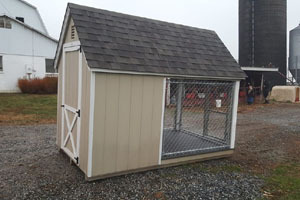 Horse barns for large animal care, chicken coops, rabbit hutches and dog kennels. Easy to maintain, very well built. 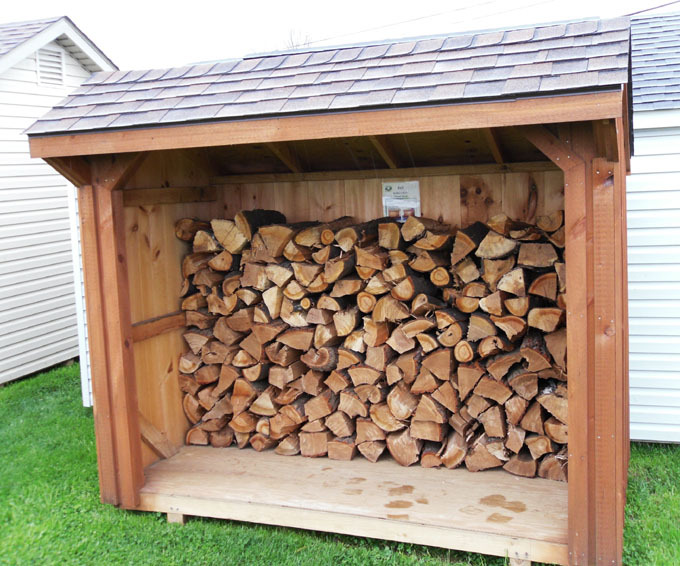 Throw away that old ugly blue tarp and place your wood or other outdoor items in one of our stylish Firewood Sheds. 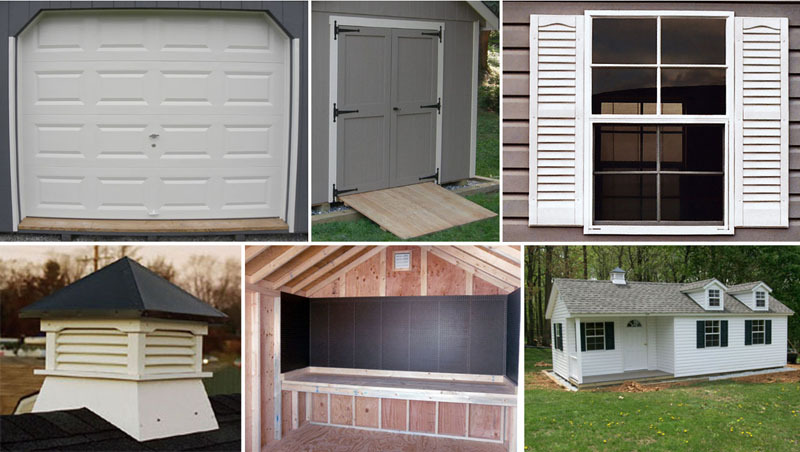 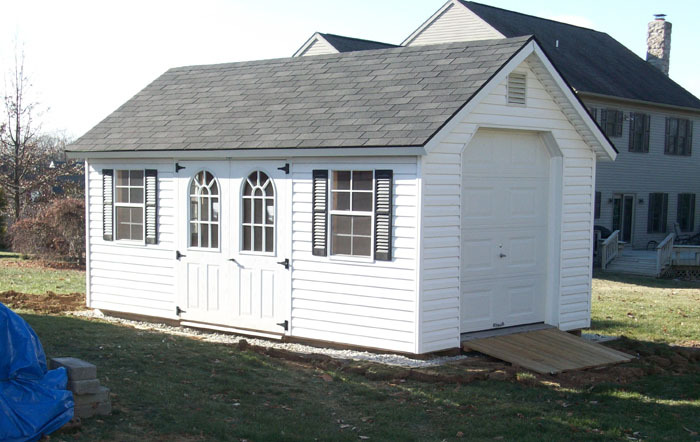 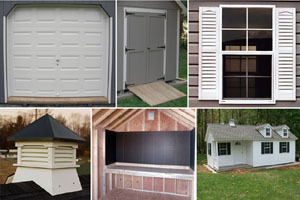 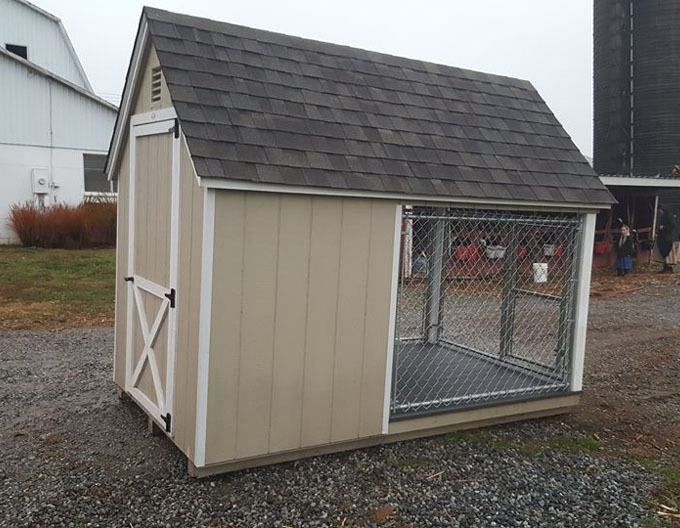 Customize your shed with our optional accessories and upgrades including doors, windows, cupolas and more.